Mykal has been directing and choreographing in the industry for over 20 years. He is currently Resident Director/Choreographer on the brand new Five Guys Name Moe Marble Arch Theatre. Requested for the fourth consecutive year, Mykal directed & choreographed Evita at the Ljubljana Festival. Previous hugely successful productions include Grease, Hair and Jesus Christ Superstar (Bronowski Productions). 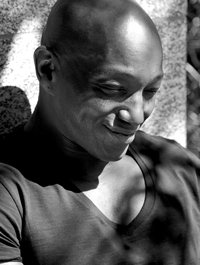 Mykal has also played an integral part of Starlight Express team since 1987. In recognition of his knowledge, experience and dedication to this particular show he became 'Associate Director, Choreographer' in 2006 and has worked on no less than seven different productions of Starlight Express both nationally and internationally. Mykal's preference is to simultaneously embrace both roles of choreographer & director which then enables him to bring imaginative stories to life; across genres and on any media platform. Such credits include: Smokey Joe's Café (Sure Fire Theatrical), Fame, (Bronowksi) and Grease (Ben Rogers, Larnaca). Additional choreography credits include: Purlie (Bridewell), Golden Boy (Greenwich), Passion (Bridewell Theatre), Release the Beat (Arcola), Rent UK Tour (Goucher/Live Nation), Rent (Prince of Wales), Mouthwash (Kate Nash Video). Full CV and availability on request.